The Kanomax 3888, 0.10 CFM (28.3 LPM) is part of Kanomax's new wave of Handheld Particle Counters (HHPCs). This brand new 3-Channel meets/exceeds the ISO 21501-4 Standard and is fully RoHS compliant. These HHPCs and their software allow users to monitor and take measurements remotely from a PC. They store up to 10,000 measurements and now have a base/stand for advanced communication capabilities (WiFi, Ethernet & RS485). 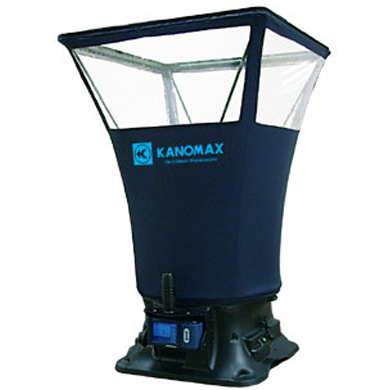 The Kanomax 3889, 0.10 CFM (28.3 LPM) is part of Kanomax's new wave of Handheld Particle Counters (HHPCs). This brand new 6-Channel meets/exceeds the ISO 21501-4 Standard and is fully RoHS compliant. These HHPCs and their software allow users to monitor and take measurements remotely from a PC. They store up to 10,000 measurements and now have a base/stand for advanced communication capabilities (WiFi, Ethernet & RS485).